With rumors of a curved iPhone floating around the web, many are expecting something massive in the next couple of generations, but it appears as a more realistic iPhone X Plus may becoming a lot sooner – in just a few months, in fact. A recent Bloomberg article talked about the idea of touchless controls, but it also mentioned something that is coming a lot faster: the iPhone X Plus. 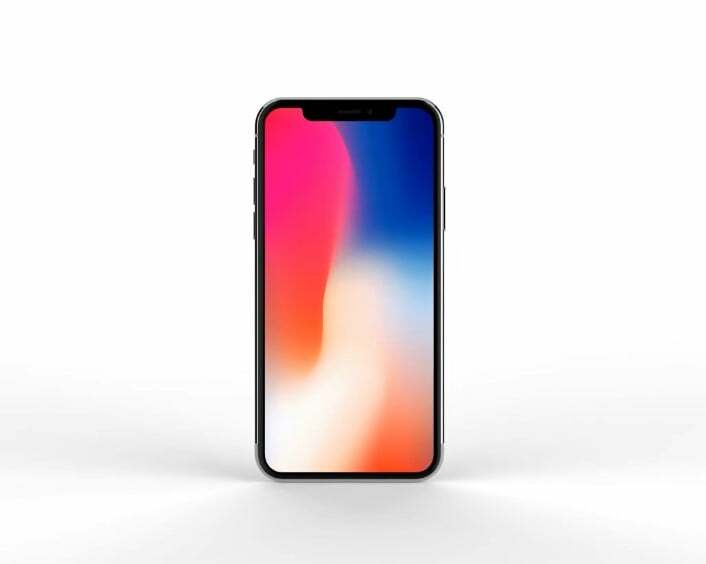 While a curved iPhone that may release in a year or two is definitely something to look forward to, the release of the iPhone X Plus – which will likely provide those who are looking for it a bigger sized handset – is much more imminent. Around the middle of the year is when Apple starts to see a slump in sales, and while the introduction of the PRODUCT(RED) iPhone 8 redesign may help drive some more sales, the release of an iPhone X Plus may be much more substantial. The majority of people that have already purchased an iPhone from one of the three models released so far this generation likely won’t be making the jump to the iPhone X Plus – choosing instead to wait for the curved iPhone release to upgrade – but for those of us still using the iPhone 7 or even earlier generations, having that larger size may be the draw needed to give Apple an influx of cash in a time of the year that is generally slower than around the holidays when they make a major new release. The iPhone X featured an OLED screen, which is an upgrade from the LCD technology we’ve seen on the majority of their products thus far. Apple stands to extend this feature to another model with the introduction of the iPhone X Plus with a 6.5-inch screen later this year. With the current iPhone X featuring a 5.8-inch screen, many people are already happy with the size of the device. But for people who are looking to watch their favorite videos or play their favorite games, getting almost an inch of increased screen space will be a welcome addition that should make it a sure buy for those who were on the edge for this generation. With a larger size and the unique FaceID technology that many have praised time and time again, it’s looking as if Apple could steal some additional sales away from the lackluster performance of the recently released Galaxy S9. For those of us who are used to the large screens of previous-generation iPhones, it’s clear that the iPhone X screen feels a little on the small side. With the introduction of the Notch, the phone essentially functions as a 4.7-inch iPhone 8 stretched vertically. With the introduction of the 6.5-inch X Plus, we wouldn’t see such a decision which would make the screen feel significantly bigger than the current iteration. What may make the new iPhone X Plus even more attractive is the fact that it will ship for $999 – the same price as the current generation iPhone – with the iPhone X price seeing a reduction down to $899 (according to a recent research note by RBC Capital Markets analyst Amit Daryanani.) While we eagerly anticipate the release of the curved iPhone, getting a larger phone for the same price is certainly an attractive option that may bring in more people from other generations – and perhaps even some Android converts who have long bemoaned the lack of an OLED display on Apple products. We may not see the curved iPhone later this year, but it’s coming soon. What we do know, however, is that all of the 2018 models will feature FaceID and edge-to-edge displays like we saw with the iPhone X. Apple may also make the jump to making OLED technology standard on more of their phones, and will likely to continue to offer at least one lower-cost LCD model. As far as additional news of the curved iPhone goes, there’s not much to go off of other than rumors. However, some industry sources have stated that we may even see a foldable iPhone in the coming years. With such a massive departure from what we saw previously, the iPhone X revolutionized the smartphone industry. The introduction of a curved iPhone will probably not happen in 2018, and will probably not be as ground-breaking considering similar products are in the works from the likes of Samsung, but Apple has proven that innovation drives sales – and they stand to see some serious profits from the release of the iPhone X Plus and the eventual launch of the world’s first curved iPhone.